Lillies are highly demanded for various decorative purposes. Lily Flowers are mainly cultivated and grown in the sub-tropical region. Lily Flowers are the kind of flowers, which have found a special position even in the literary world. These Lily Flowers are not only appreciated for their decorative purposes but are also loved for their culinary importance. 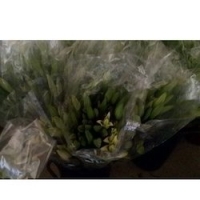 We are offering different varieties of Lily Flowers that are fresh and free from insect attacks. Further, these Lily Flowers are offered in different varieties and colors like Pink Lily Flowers, Yellow Lily Flowers, Lily Flowers and Orange Lily Flowers. Item : DE0003 Details : Size (cm): Flower:11*16 Stalk:55 Material: PU. Carton and inner box. Fresh flower (lily, calla, cymbidium). Short on time? Let calla-lily sellers contact you. Roses, spray roses, carnation, spray carnation, hypericum, lilies, callas, tropical flowers, orchids, summer flowers. Kunming Coloreden Horticulture Co., Ltd. Preserved rose, carnation, hydrangea, dahlia, calla lily, yunnan camellia and all kinds of preserved foliages. Summer flowers -arabicum, calla lilies, erygium, solidago, ornis, scabiosas, crocosmia, birds of paradise, blue/white agapunthus, mobby dicks, astrommelia, statice, allums, leather ferns, gypsophilia, upper class roses, red horizon, circus, viva, marie claire, ice berge, polar star, top sun, blizzard, costa rica, tucan, catch, high magic, kiwi, athena. Roses, spray rose, david austin, carnations, spray, carnations, alstromelia, callas, hypericum, solidago, snap dragon, hydrangeas, gypsophila, chrisantemos. East Best Philippines Dutch Plants Ltd, Co.
Fresh cut flowers like roses, carnation, calla lilies and summer flowers. Fresh cut flowers- eg roses, gypophila, calla lilies, chrysanthemums, fruits, eg avocados, mangoes, passion, papaya, vegetables eg french beans, mangetout, sugar snaps, snow peas, okra, ravaya, chillies, cavendish bananas, brinjals, herbs eg thyme, oregano, basil, organic moringa (drumstick) powder, seeds, tea -black tea - PD, PF1, PF2, fanning, SBMF, BD1, dust,, honey. Golf equipment, callaway / taylormade / nike / mizuno/ ping / titleist. Fresh cut summer flowers such arabicums, calla lillies, moby dicks, frozen vegetables - french fries, fine beans, peas, coffee. Our flowers supplies include; roses (t-highbrid roses, in termediate, spray roses), carnations (standard and spray), calla lilies(zantedeschia), oriental lilies, solidago, aster, gypsophilla, alstoemeria, statice, mobydick, agapanthus, arabicum, craspedia, eringium, molucella, carthamus, hypericum, lisianthus, garbera, scabiosa. Roses and spray roses, carnations and minicarns, alsrtroemerias, hydrangeas, callas, filles, greens, bouquets and consumer bounches, lillies, pompons. Fresh cut flowers. Minds Exports Imports Ent. Ltd.